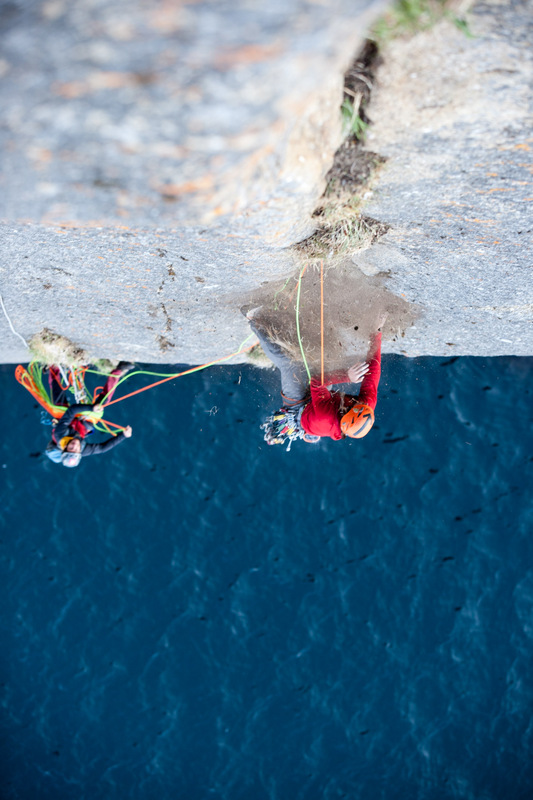 Sean Villanueva-odriscall climbing and whipping off the grassy second pitch of "devils brew" our new route on the impossible wall, sortehul fjord, western greenland. This was seans second try on the pitch, which didnt turn out to be that hard, but the grass kept pulling out in clumps as we'd try to yard on them. he is belayed by olivier favresse.